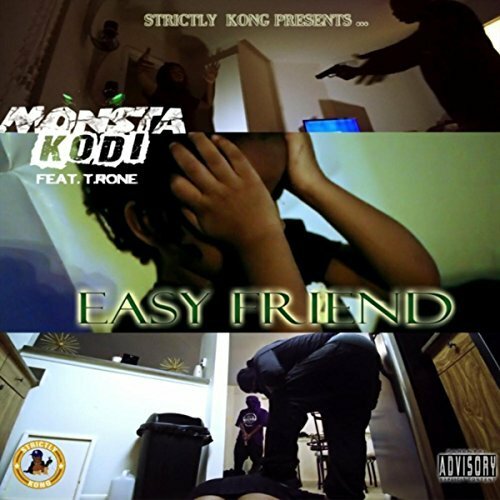 Strictly Kong Entertainment presents Monsta Kodi ft T.Rone Easy Friend official music video & mini movie. Easy Friend, is based on a true tale detailing a botched home invasion where the victim was able to tip the scale & get the upper hand. Checkout & purchase Easy Friend mini movie at Vimeo. Monsta Kodi straight out of the Bronx, from the same area as Afrikka Bambaata, he has always had a wolf puffy window seat to the bubbling culture of hip-hop. Haffen Park was the start of Monsta Kodi’s relationship with hip-hop and the streets. From the fact that the same person that shot DJ Scott La Rock also shot Monsta Kodi’s brother in an attempt to steal his leather bomber, to riding shotgun with Puffy’s infamous bodyguard Anthony “Wolf” Jones and having a back stage view to the beginnings of Bad Boy – these are all the makings of a Monsta. Even though he was just a teen, he was rolling city to city and state to state with Wolf and Biggie/Bad Boy. It wasn’t long before they were setting up the after parties following the concerts and earning his way on the road. Living in the moment, Monsta Kodi was around Biggie and the Junior Mafia and meeting the industry’s biggest stars like Timbaland and Master P. Although he was coming into his own as a rapper surrounded by the biggest stars in music, Monsta Kodi was young and was submerged in the thuggery. “I really want to bring that “realness” back to hip-hop. Our voice, that is how we paint the pictures of our struggles and our life. Nowadays rappers are saying anything, making up anything and calling it real but are not being held accountable.” remember the name Monsta Kodi.